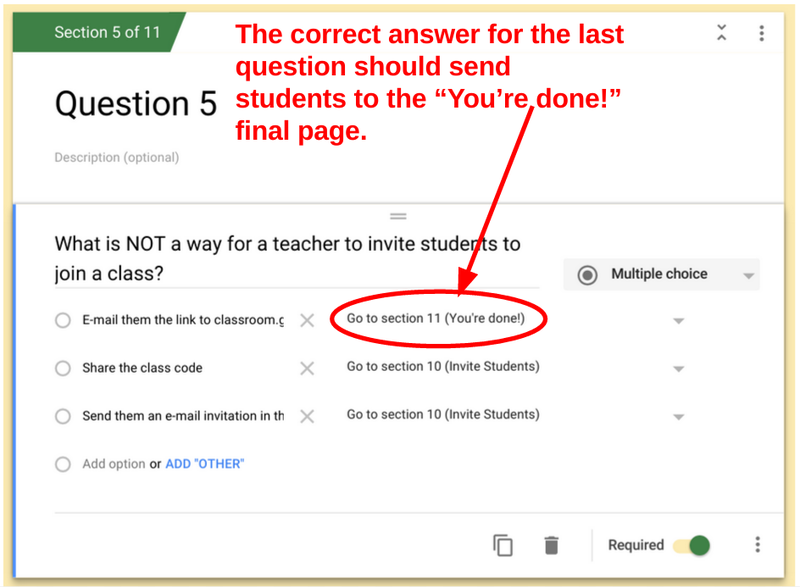 After Chris Aviles introduced me to the Impossible to Fail Quiz at EdCamp New Jersey, I liked it so much I used it with my students and created a tutorial to show other teachers how to make it. This quiz is a great strategy to deliver precise remediation to students who need multiple opportunities to learn. 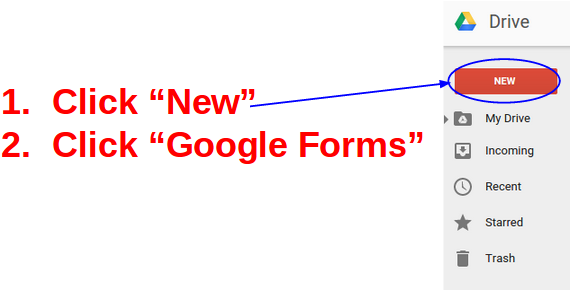 However, since I published that blog post, Google has since changed Google Forms. So here is my updated tutorial. 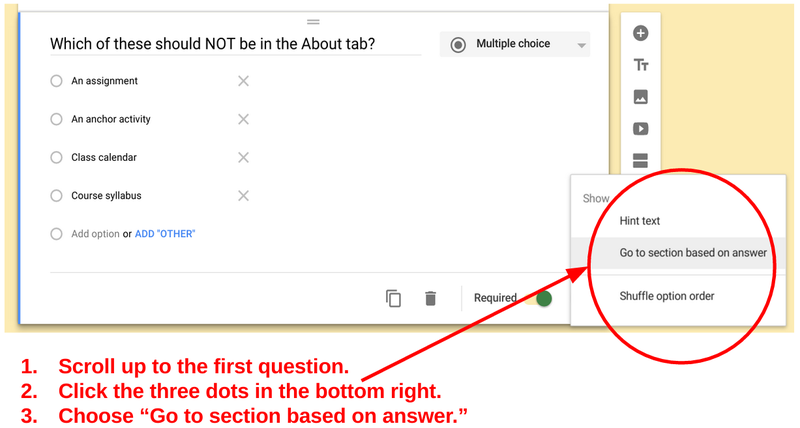 Follow the pattern of adding a section and a question for as many questions as you want. I recommend keeping it short. I like five questions. 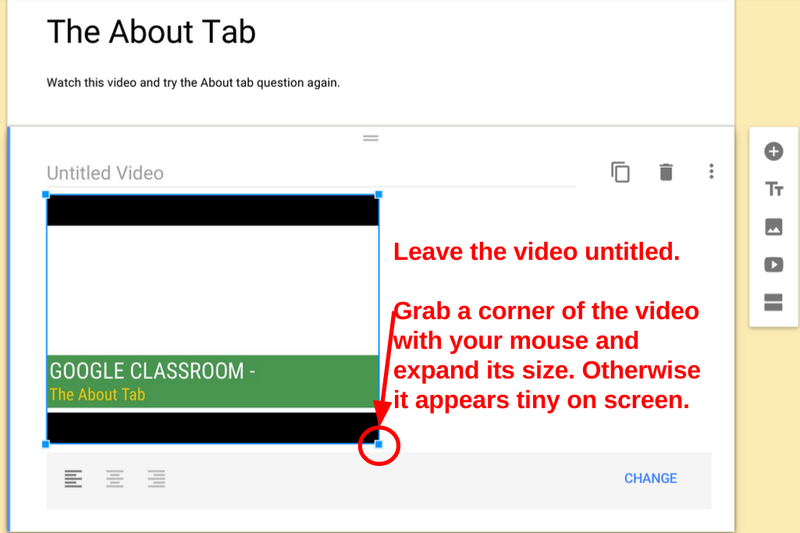 Add a video corresponding to each of your questions in the order of the questions. 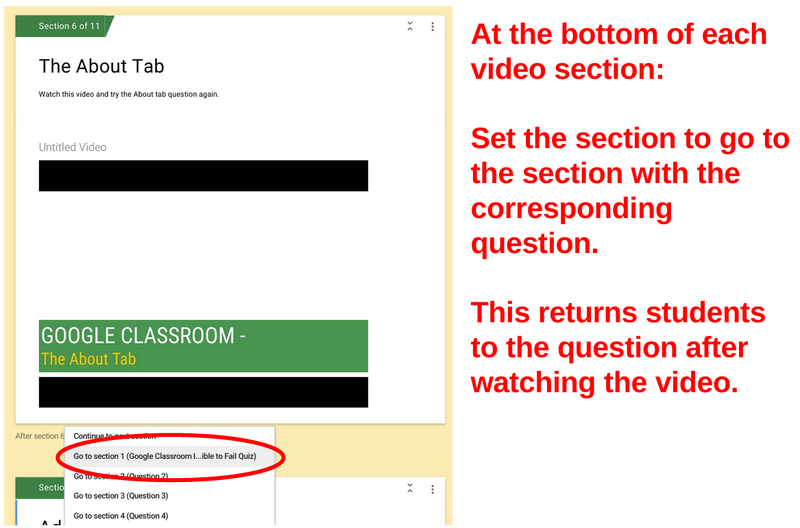 The second video should help students answer the second question and so on. Now return to your multiple choice questions. 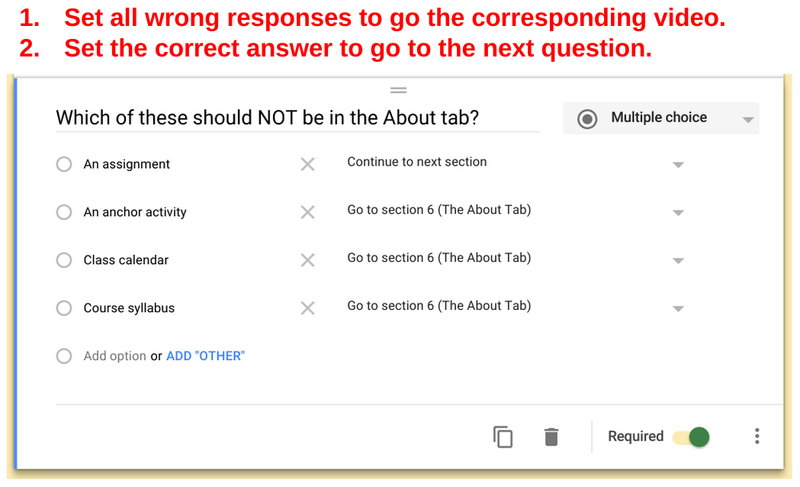 You have to tinker with them so that correct answers advance to the next question and incorrect answers advance to the videos. 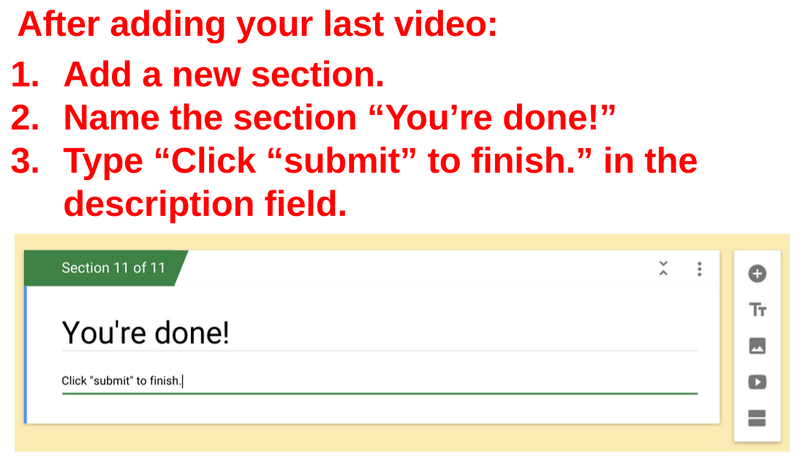 Take care of one last detail on each of the video pages and you have an Impossible to Fail Quiz ready to go! With that, the Impossible to Fail Quiz is ready to go. 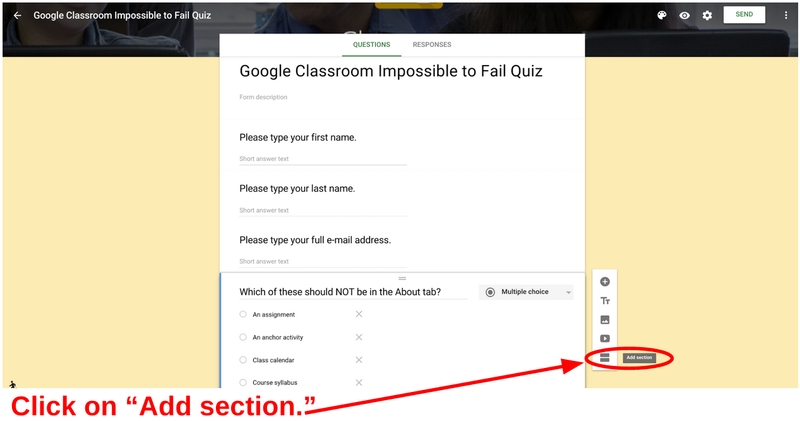 Take the Google Classroom Impossible to Fail Quiz designed in this tutorial to acquaint yourself with the student user experience. 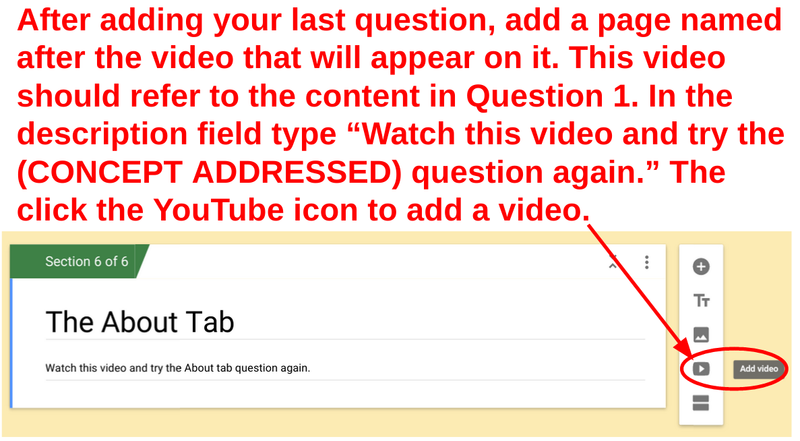 If you have any questions, please comment below or tweet me at @edtechtom. Thank you for reading! 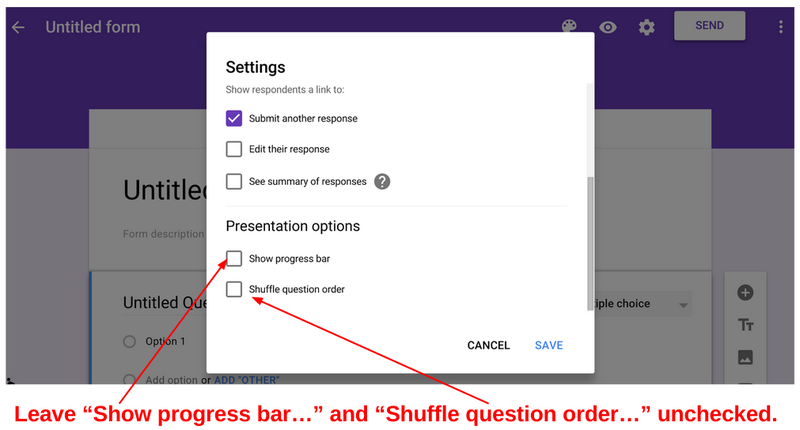 Tom, This is a simple yet ingenious way to use Google Forms and build understanding in the students. Great work!! !